This is the only reported piece in this particular Swirl pattern, and named by Jim Seeck for it's similarity to the Diamond Point pattern. 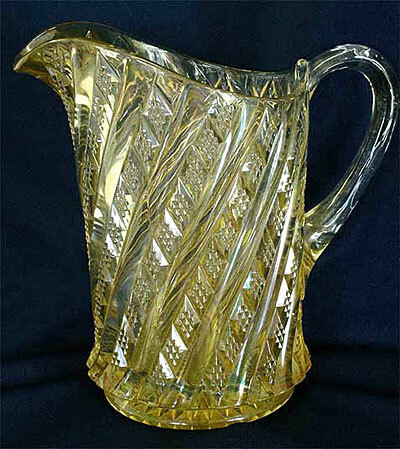 This marigold milk pitcher sold in 2009 for $145. Have no idea who the manufacture is. Photo courtesy of Seeck Auctions.